Wouldn't it be loverly?! 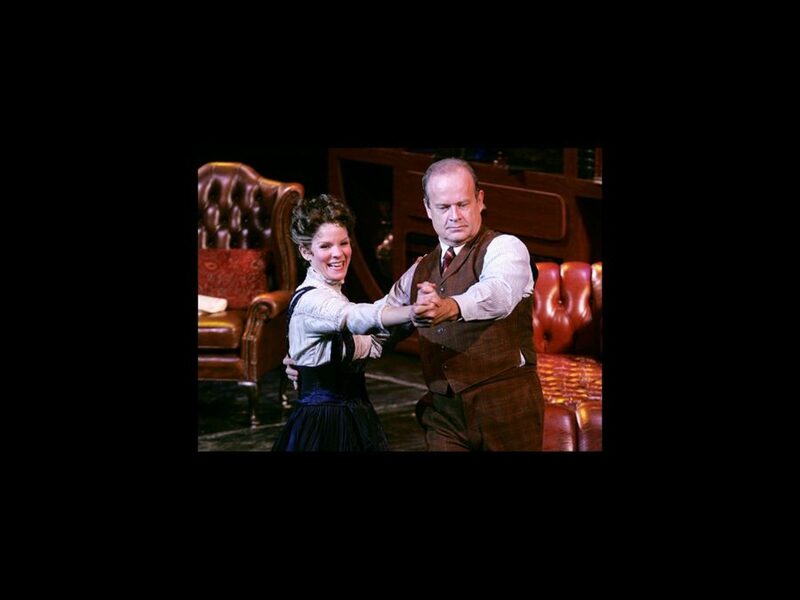 Kelsey Grammer and Kelli O’Hara are the latest names in the mix to lead a revival of My Fair Lady as Henry Higgins and Eliza Doolittle, respectively. Previous names attached to a potential return of the classic tuner include Colin Firth, Ralph Fiennes, Anne Hathaway and Carey Mulligan. A production directed by Tony winner Bartlett Sher had been aiming for a 2014 Broadway opening; the Wrap reports that Julie Andrews’ previously reported Australian incarnation will go on the road before landing in New York in 2017, where both Grammer and O’Hara would star. Grammer and O’Hara previously appeared in the roles back in 2007 at a Lincoln Center fundraiser. Grammer will return to the Broadway.com Audience Choice Award-winning musical Finding Neverland in the New Year; his additional Great White Way credits include La Cage Aux Folles, Macbeth and Othello. He won four Emmy Awards for his performance as the titular radio psychiatrist in the long-running hit series Frasier. O’Hara is the current headliner of The King and I, for which she won a 2015 Tony Award. She has also received Tony nods for her performances in The Bridges of Madison County, Nice Work If You Can Get It, South Pacific, The Pajama Game and The Light in the Piazza. Featuring music by Frederick Loewe and a book and lyrics by Alan Jay Lerner, My Fair Lady premiered on Broadway on March 15, 1956, starring Andrews and Rex Harrison. The production won the Tony Award for Best Musical, and Harrison snagged a Best Actor trophy. My Fair Lady was last seen on Broadway in 1993, starring Melissa Errico and Richard Chamberlain.